Randys Paint & Drywall, Inc.
Armored Dade Windows & Shutters, Inc. Comment: Looking to install white shiplap in a few standard walls and also some wood paneling in our downstairs area. Comment: I need an interior frame created (preferably out of steel) that will house an electric fireplace. The width is 132" wide X 60" high X 6 " depth. After framing and drywalling it, it will need to be tiled. Comment: Window does not stay up. Peacock Construction & Remodeling, Inc.
Gulf Stone Construction Services Corp.
Bradenton Carpenters are rated 4.75 out of 5 based on 651 reviews of 41 pros. 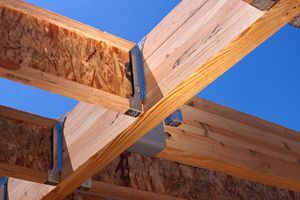 Not Looking for Carpenters Contractors in Bradenton, FL?